After the raging success of Food Truck Movement back in March, the free, all-ages event is back at the Adelaide Showground for another round, just in time for warmer weather! We attended the grand opening yesterday where Adelaide cover band, The Incredibles, played live for the gathered audience. As expected, there was a sea of food trucks serving up some of the best (not to mention convenient!) food and drink South Australia has to offer. 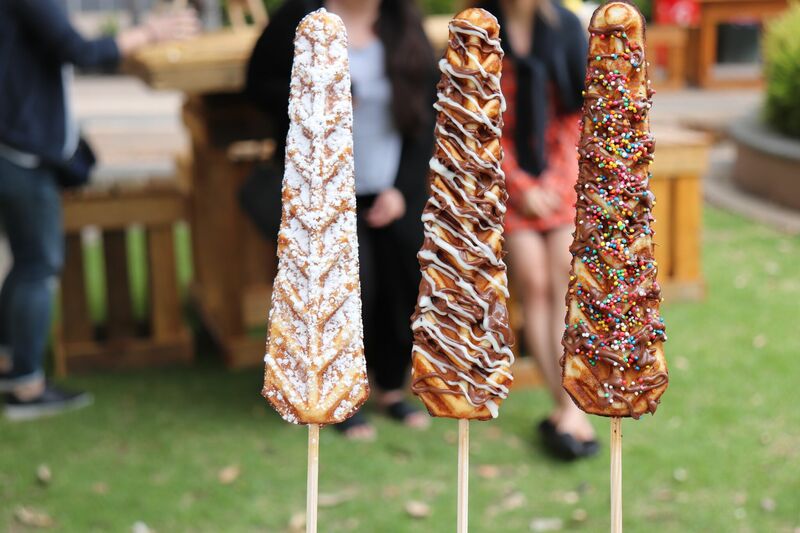 We had the pleasure of sampling everything from the crowd favourite chicken and chorizo paella from Taste of Spain’s Paella Bar to the Instagram-worthy waffle sticks from Waffle Stix. In between, canapés of Gourmet Grillerz’s Angus beef and pulled pork sliders, Beyond India’s Varanasi samosas and mixed vegetable pakoras, The Pasta Guy’s puttanesca, carbonara and Bolognese, and Squid Ink’s salt and pepper calamari kept the crowd happy. The event’s perfect location offers plenty of outdoor seating both under cover and in the sunshine, and is just close enough to the CBD to absorb some of its hustle and bustle but just far enough to find decent parking! The Food Truck Movement is on every Friday evening, Saturday and Sunday outside the Adelaide Showground’s Goyder Pavilion. So why not pop over for an after work drink on Friday night, or even bring the family out on the weekends and take advantage of the beautiful spring weather? Did we mention it’s free entry?! Next articleAdelaidians, Secure Your Spot for Le Dîner en Blanc!